A biker who reached over 130 mph on A-roads in Wiltshire has been sentenced to 15 months in jail. Christopher O'Donovan, who is 44 and from Devizes, was filmed touching some of the highest speeds ever recorded on A roads during the 23 mile chase. Mr O'Donovan pleaded guilty to dangerous driving. 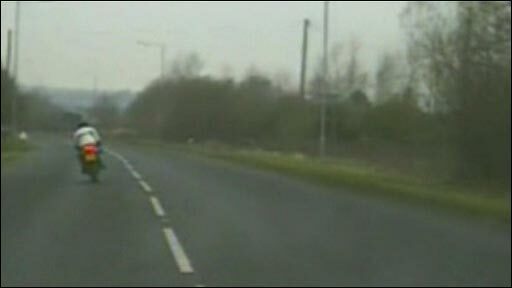 A police car fitted with a video camera took this film of the pursuit.